Oh, what a busy week! We went from one season to the next in a matter of hours this week! We celebrated President's day and did lots of "field trips" out of the house. Wednesday was a gorgeous 40 degrees and felt like spring! We spent the day at my dad's farm where the kids love to play in the snow. 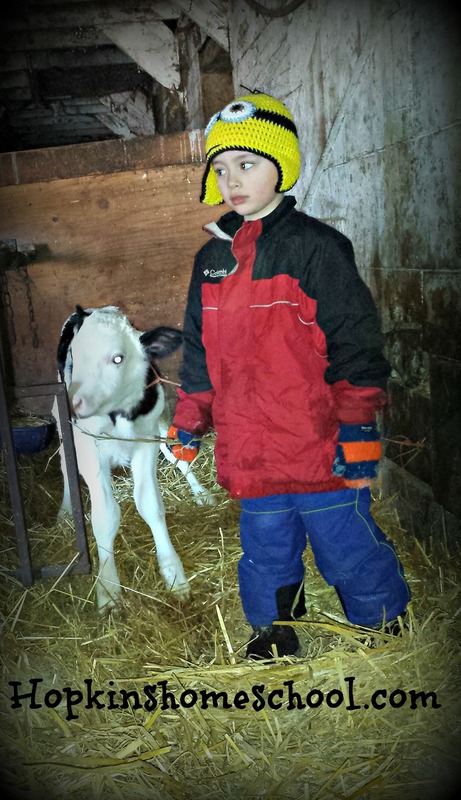 We even got to meet the new calf that was named after Ray Ray. While we were there, the kids got to see where the milk is stored before going in the milk truck. We went and saw Great, great grandpa on Thursday before the "mega" storm hit us during the evening hours…and man, did it hit! 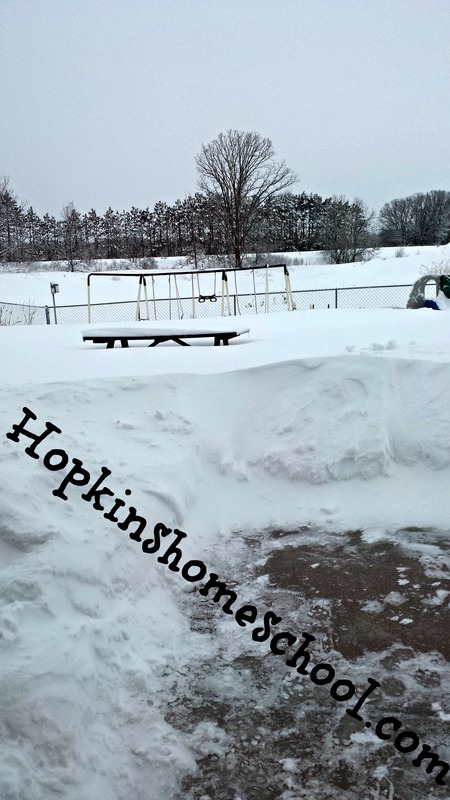 10.5 inches overnight and than the wind and drifting hit!…ugh. Yeah, I am about done with winter. We have made progress in our unit study of Percy Jackson and are loving it. I love being able to listen to the audio book while working on other things. Moe Man loves following along with the reading and is excited about watching the movie. What was your week like? Is the weather just as "yucky" for you as it is for us? What are some of the fun things you did this last week? 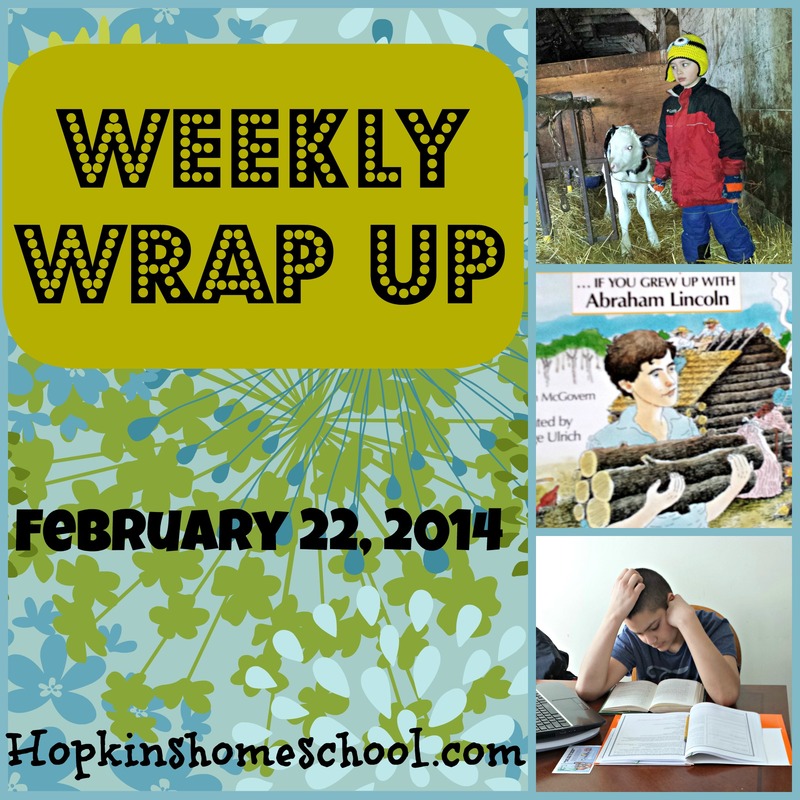 I am linking up at the Weekly Wrap up. Head on over and see what others are doing this week! I have to admit that our weather was actually wonderful (for once!!!). But, the cold has returned tonight. 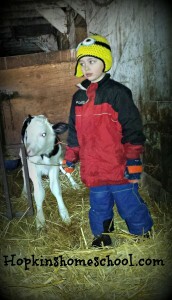 Love the new calf! !